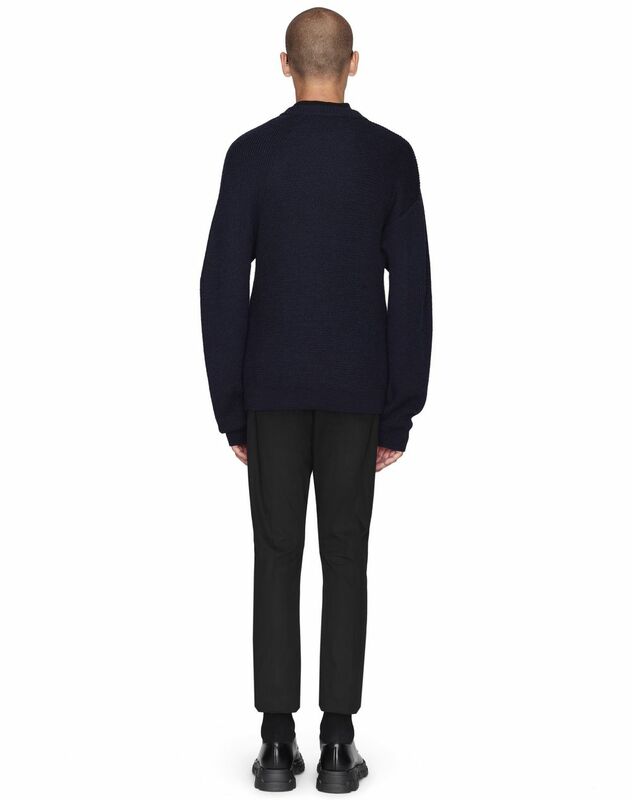 Long-sleeved sweater in navy blue cotton, drop shoulders, slightly high buttoned round neck and ribbed hems. 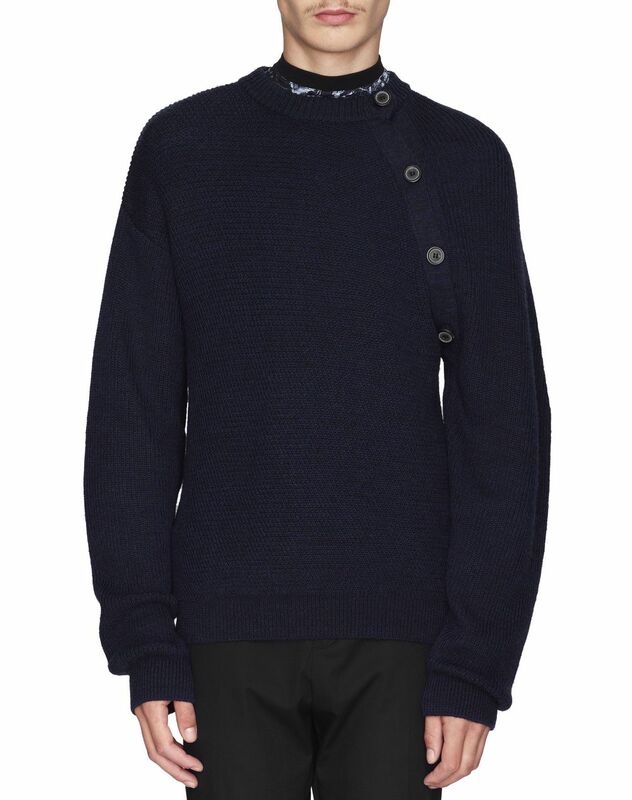 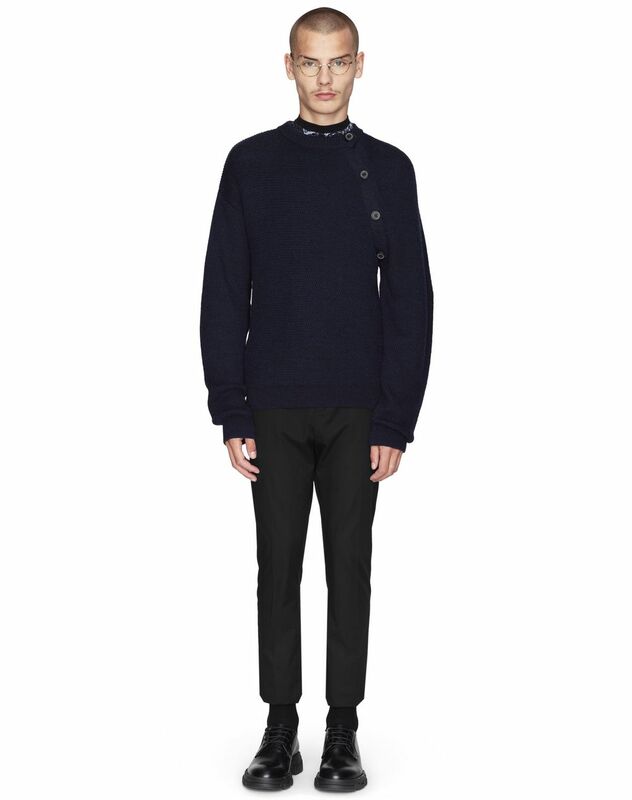 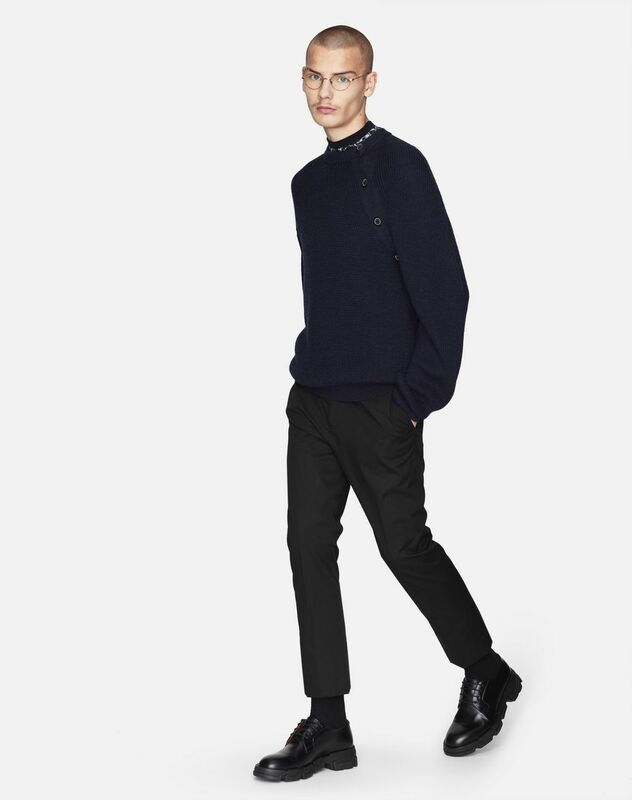 A must-have for the season, this cotton sweater stands out for its buttoned neck and its navy blue colour. 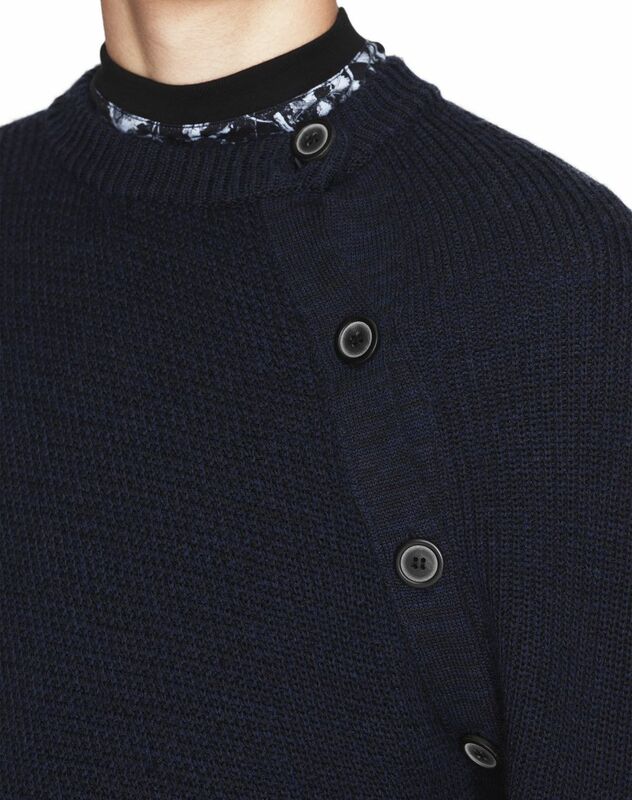 With its comfortable material and unique texture, this design provides a trendy, contemporary look.